Palmetto Bay real estate includes a few mostly "low rise" condos. 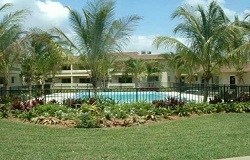 As a result, the number of condos for sale in Palmetto Bay is usually extremely limited. Tip: many of the best condos in Palmetto Bay sell without ever being advertised or as soon as they hit the market. Let us know what you are looking for so you can be the first to know when a great Palmetto Bay condo does become available.